Macs are excellent computers for video editing and we’ve taken an in-depth look at the very best video editing software for Mac, both professional and free apps. Macs are extremely stable when it comes to the high demands of movie editing and even Hollywood epics such as The Wolf of Wall Street and The Social Network were edited on a Mac. PCs are still slightly ahead when it comes to choice in movie editing software – heavy duty editing packages such as Pinnacle Studio and Sony Vegas are still not available on Mac for example. But we’ve edited video on both Macs and PCs and in our opinion, OS X always wins every time for reliability, stability and general all round ease-of-use when editing videos. There’s now a wide selection of extremely good video editing software for Mac for all abilities from professional to beginner which we’ve taken a look at here. First we look at the best professional video editing software for Mac and then move onto the best free video editing software for Mac suitable for beginners or those on a budget. If you enjoy this article, you might also find our in-depth article on the Best Camcorders For Mac useful too. There are a few things to be aware of and consider before you decide which video editing software to go for. A professional is going to have completely different needs to someone who just wants to make the occasional home video. It’s easy to get carried away and think you’re going to be the next Steven Spielberg when starting out but be realistic about how much time you can invest in video editing, what you need it for and how many features you actually require to avoid overpaying for software. To help, we’ve divided this article into the best video editing software on Mac for professional needs and then cheaper or free software for general consumer needs and abilities. Video editing software on Mac can be very fussy about the format it will and won’t import. Make sure you know exactly what formats your camcorder or video camera uses and whether the software you intend to buy supports it. Otherwise you’ll find yourself messing around having to convert video before you import it. For this reason, we’ve already looked at the Best Camcorders For Mac which make it easy to import video into almost all video editing software, although the article is focused on using it with iMovie. Note that if you want to import VHS videos to edit on your Mac, you’ll need a VHS Capture Kit which can connect an old VHS camcorder or a video player (including those golden memories on Betamax) to your Mac. Do You Want To Share Video Instantly Online? In the old days, sharing video meant burning it onto a DVD or creating a highly compressed video file and uploading it to a website for others to download. With the advent of sites such as YouTube however, many video editors allow you to export your movies and videos instantly to the web. Many free or open source ones still do not however so make sure the software you buy supports exporting to video sites if you need it. Beware Of Dodgy Vendors Selling Video Editing Software! The increase in the number of Mac users looking for video editing software has also seen a few disreputable developers claiming to offer “free” video editing software for Mac or selling video editing software that doesn’t do what it claims. These are mainly aimed at beginners rather than professionals but invariably aren’t what they claim to be. In many cases, they allow you to download and use the software for free but require payment when you want to save or edit clips. You can usually identify such developers by the poor level of English on their websites or in the interface of the software itself. When it comes to video editing, don’t look any further than the selection presented here and you won’t go far wrong. First we’ll start with professional video editing apps and then we’ll take a look at look at easy to use free video editing software for Mac that anyone can use. Adobe Premiere Pro CC is an industry leading, timeline-based video editor that is available for Windows and Mac. Adobe Premiere Pro is now part of Adobe Creative Cloud meaning you require a monthly subscription to use it. Adobe Premiere remains one of the leading suites for video editing on PC and is used by countless production houses. You can enhance Adobe Premiere by adding special effects in Adobe After Effects and Adobe’s industry standard image editing software Photoshop. Although still popular on PC, Adobe Premiere Pro has lost a lot of ground on Mac to Final Cut Pro X partly because of the pricing model but also due to some instability problems with the software on OS X. To use Adobe Premiere, you must now have a Creative Cloud subscription, the price of which depends on the whether you choose to pay monthly or annually and whether you choose to subscribe to a single application or the entire suite of over 20 applications. Subscribing to use Adobe Premiere costs $19.99 a month and for the entire Creative Cloud suite which includes the powerful Adobe special effects suite After Effects, it costs $49.99 per month. Note that when you go to the Adobe Purchase Page, you need to select “Adobe Premiere Pro” from the “Single App” drop down menu. By default, Adobe highlights the purchase option for “All Apps” as the most popular choice which is for the entire Creative Cloud suite. You will automatically be given a 30 day free trial to Adobe Premiere Pro when you sign-up for a subscription. Adobe Premiere is one of the most accomplished and professional video editing software for Mac available. If you are a big fan of Adobe Premiere Pro CC on PC and know how to use it properly or already have an Adobe Creative Cloud subscription, it makes sense to choose Adobe Premiere Pro on your Mac. You can also watch Adobe Premiere Pro CC in action here and you can also get a 30 day free trial when you sign-up for a subscription. Although Final Cut Pro X meets the needs of professional video editors, Apple has simplified it in recent years to make it much more accessible to novice users meaning. If you’re a beginner to video editing but intend to take it seriously, it’s definitely worth investing the time to learn FCP X which has a much gentler learning curve than most high-end video editing software. 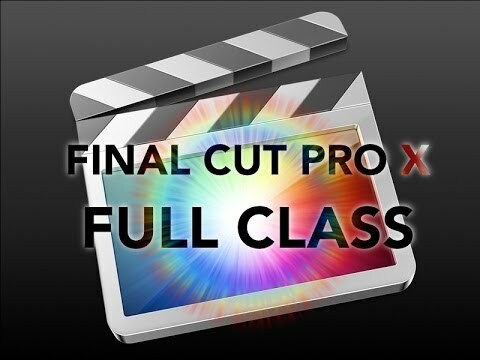 The result is that Final Cut Pro X is now an excellent video editor for both professionals and beginners who intend to get serious about video editing and do a lot of it their Mac. Some long time professional users aren’t happy with the simplifications Apple has made to FCP X but there’s no doubt it has created a powerful video editor that doesn’t intimidate. If it’s still good enough for Hollywood to edit films such as The Girl With The Dragon Tattoo and The Social Network, then it can’t be bad. When it comes to video editing on Mac, FCP X delivers some amazing results without bewildering you with features and tools. For instance, FCP X no longer overwhelms you with multiple format settings making it much easier to import and export video in the format you need – one of the major bugbears that users find with any movie editing software on Mac. One way that FCP X makes life easier from the start is the way it organizes your work. FCP X takes a non-linear approach to video editing and like Apple Photos and iPhoto, iMovie organizes your clips and movies into Events which is far better than folders and bins once you get used to it. If you’re familiar with iPhoto or Photos, you’ll already feel immediately at home with how FCP X does business. If you’re coming from a linear video editing platform such as AVID or Adobe Premiere, you’ll soon find that Final Cut’s way of doing things makes your video editing workflow more organized, logical and structured. FCP X isn’t suitable for all professional needs however. The main thing that FCP X can’t handle is color and sound correction and it also doesn’t support multi-cams. It does have a very basic color grading system but for professionals, we highly recommend DaVinci Resolve or DaVinci Resolve Studio (which we look at in more detail in a moment). There are also two other components that professional video editors may need if they purchase Final Cut Pro X – Motion and Compressor. Here’s we’ll take a brief look at each one. Apple Motion allows you to take titles created in Final Cut Pro X to another level and add superb 2D and 3D animations. You don’t actually need FCP X to use it – it can edit titles and create animations for export into any video editing software – but it works best when used alongside FCP X as it’s fully integrated with it. 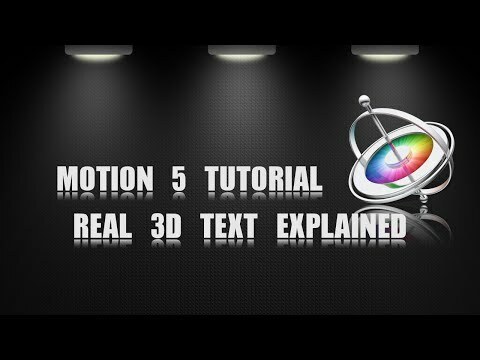 Motion is incredibly easy to use and makes it simple for beginners to video editing to create surprisingly good 2D and 3D animations and effects. There are hundreds of tutorials to choose from to get you started and you’ll be amazed at how quickly you’re able to produce impressive results using Motion. Apple Compressor is another very useful complement to Final Cut Pro X for professional editors as it makes encoding and compressing large video files for export to different formats easy. Compressor allows you to save in a wide variety of codecs, sizes, frame rates and other parameters. One of the most useful features is that it can easily convert from PAL to NTSC and vice versa and the same with SD to HD. Compressor can also export your Final Cut Pro footage to formats such as MPEG-2, H.264 and ProRes. 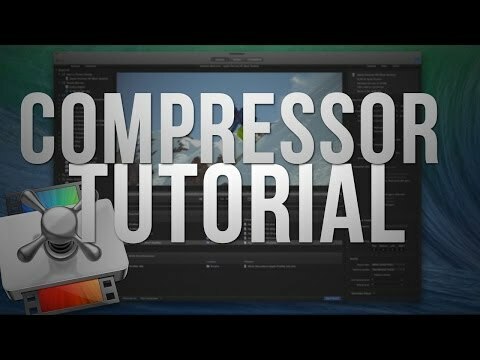 If you want to export footage online, Compressor includes useful presets for exporting to YouTube, Vimeo and Facebook although you can export directly from FCP X too. DaVinci Resolve started life as a color correction tool but has now evolved into a highly professional non linear video editing and color correction software. DaVinci Resolve is so powerful that the full studio version is commonly used in Hollywood for movie editing, color grading, multi-cam needs, advanced trimming and high precision audio editing. It’s definitely harder to learn and use than Final Cut Pro X but it does offer more refining power and features which is why some editors like to use DaVinci Resolve to polish movies that they’ve edited in FCP X. The main problem you’ll find with DaVinci resolve is learning how to get to grips with it but there are fortunately many DaVinci Resolve YouTube tutorial videos to help. There are obviously some important differences between the free and studio version to justify the $499 price difference and professionals will definitely need the Studio version as you can see from this comprehensive DaVinci Resolve Studio comparison table. However, to make things even more complicated the version available in the Mac App Store is different to the studio version on Windows and the developer BlackMagic hasn’t exactly made it clear exactly what is different. However, it’s probably safe to say that the Studio version for Mac is more or less the same as the Studio version on Windows. The free version of DaVinci Resolve for Mac allows you to do a surprising amount however although there are limitations including file size, export and import options. There’s also no support for noise reduction which is only available in the Studio version. 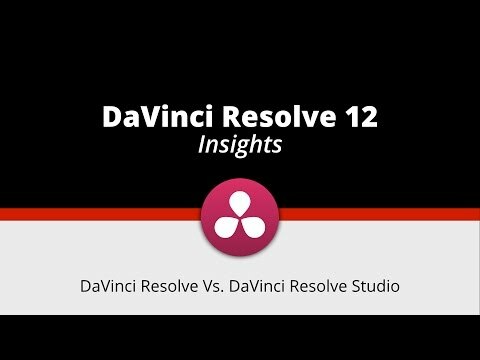 For more information on the difference between the Free and Studio version of DaVinci Resolve on PC, check the video below. Lightworks is a very powerful professional video editor for Mac, that was first released on PC but has now finally come to OS X. Lightworks is a highly accomplished editor that’s been used to edit Hollywood films such as The Wolf of Wall Street so it’s clearly aimed at the top end of the market. It will definitely appeal more to all editors that prefer a traditional bin structure and track based timeline compared to the Events approach of Apple’s Final Cut Pro X. In saying that, it’s remarkably easy to pick up and learn compared to other industry standard video editors. One of the biggest attractions of Lightworks is the number of formats it supports compared to most video editors. Lightworks supports almost every major video format including ProRes, Avid DNxHD, AVC-Intra, DVCPRO HD, RED R3D, DPX, AVCHD (with AC3 audio), H.264 and XDCAM EX / HD 422 although it doesn’t support 4K. The great thing is you can work with all formats at the same on the same editing timeline in real-time – you’re not restricted to editing or importing in just a few formats like with most video editors which makes it extremely flexible. Like most professional video editing suites nowadays, Lightworks is integrated with YouTube, Vimeo and Facebook and can export in MPEG4/H.264 for other video sites. And unlike Final Cut Pro X, Lightworks also supports multi-cams. If you like to rely on keyboard shortcuts instead of mouse or touchpads, then Lightworks is also the only video editor for Mac that has its own keyboard and editing console which you can purchase separately for a truly professional setup. This doesn’t come cheap at over $2000 dollars for the console (although the keyboard is just over a hundred dollars) and but if you find you like Lightworks and work in a professional environment, it’s well worth the investment. Lightworks is generally also stable and responsive but as it’s only been around for a few years on Mac, it still doesn’t have much of a Mac user base. For those professionals on a budget, Lightworks is one of the cheapest options out there, although it does use a subscription purchasing model. The basic version of Lightworks for Mac is even free although it lacks many essential features such as stereoscopic editing, support for third party hardware, project sharing and export options. Otherwise Lightworks is available in 3 different pricing plans depending if you’re willing to pay for it monthly, annually or purchase it outright. Whichever you go for, it represents excellent value for money considering you’re getting a professional editing suite for as little as $20 a month or $337.39 for an outright unlimited license. Teachers and students can get a 50% discount of Lightworks on Mac and you can also download a free trial of Lightworks for Mac. So far we’ve only looked at the best professional video editing software for Mac. We’ll now take a closer look at the best video editing software for beginners and those new to video. In truth, Apple’s iMovie still remains our favorite but there are a few very good open source projects worth being aware of. 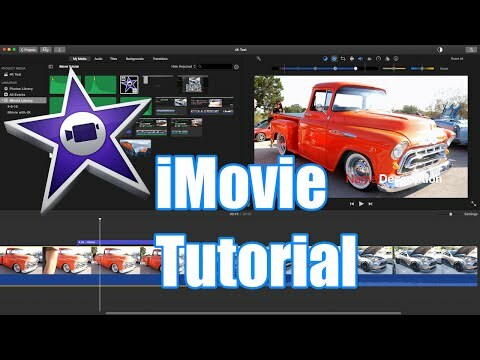 iMovie is easily the most user friendly and best free video editing software for Macs that is free with OS X although if you’ve just bought your Mac, you need to download it for free from the Mac App Store. iMovie is like a light version of Final Cut Pro X and makes it extremely easy to cut and edit home movies. If you’ve ever used iPhoto or Photos, then iMovie will feel very familiar to you. iMovie doesn’t feature the precision or advanced features of Final Cut Pro X but it’s an excellent stepping stone to it. You can create very striking titles, effects, transitions and trailers fairly easily and even add geo-data to your movies. 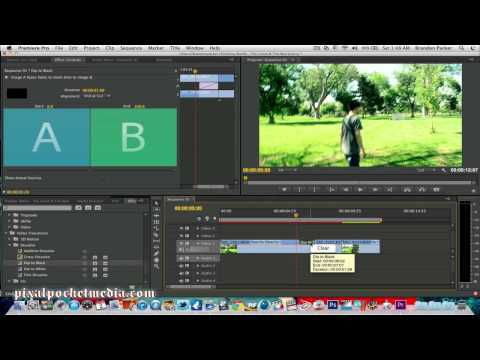 Creating trailers is particularly nifty as there are around 30 different templates that do the hard work, making your movies look more professional. 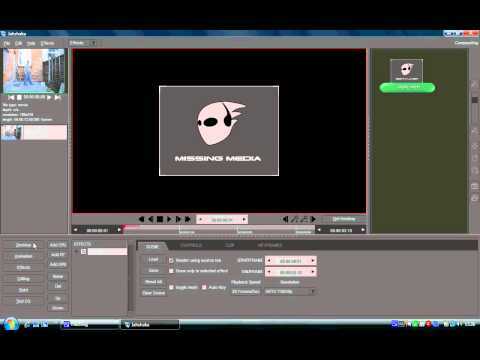 In fact, templates run through iMovie and make it really easy to create professional looking videos from scratch. It’s also surprisingly powerful in what formats it can handle allowing you to edit 4K and HD movies and it can import iPhone 6S, GoPro and HD camcorder footage with no need for conversion (as long as you have the hard drive space of course). The only issue you may find with iMovie is that Apple frequently updates it and getting to grips with new versions and changes in the interface can sometimes be frustrating and confusing. It’s also prone to stability issues whenever Apple releases a new version of OS X but these bugs usually get fixed fairly quickly by Apple when they update iMovie. It’s important to always check which version of OS X iMovie officially supports at the time as one update to OS X can suddenly mean that it crashes or becomes unstable. One of the most popular video editing suites not available on Mac is Sony Vegas but many users have found that the surprisingly powerful open source Kdenlive video editor is a very decent alternative to it. Kdenlive is a free community driven multi-track video editor which supports video editing in DV, AVCHD and HDV. However to check whether your camcorder supports importing into Kdenlive, we recommend checking the Kdenlive camcorder database. Kdenlive is built upon other open source projects on Mac such as FFmpeg, the MLT video framework and Frei0r effects. so it’s very much a community driven project in the spirit of open source. For a free product however, it’s incredibly complete and is definitely suitable for beginners and even up to semi-professional level editors. Kdenlive is a traditional multitrack video editor with a timeline and allows you to add an unlimited number of video and audio tracks. Video and audio tracks organized are organized into layers making it straightforward to edit and enhance your footage. One problem with Kdenlive is the export options are quite limited although Kdenlive will export in DV (PAL and NTSC), Mpeg2 (PAL, NTSC and HDV) and AVCHD (HDV), high quality H264 and non-destructive formats. And although there’s a thriving support community for Kdenlive, there’s obviously no official customer support if you get stuck or have problems. The main issue Mac users will have is with the installation process of Kdenlive which requires you to install MacPorts and then execute some basic commands in Terminal. Although there are clear instructions for this, beginners may find it messy and difficult to install. Avidemux is a free video editor for Mac, PC and Linux that’s nowhere near as big and popular as Kdenlive but is excellent if you can’t be bothered with anything complicated and just want a very simple and straightforward video editor for your Mac. Avidemux has no timeline or multi-track editing tools and you can’t freely import, move or splice audio and video clips from different sources and formats like most video editors. However, for cutting, encoding and filtering, it’s a very competent and easy to use one-stop solution. The Avidemux Quickstart Guide helps you get up and running pretty quickly although if you do get stuck, there’s no support but you may find some of the answers in the Avidemux forums. You can download Avidemux for Mac for free here. Blender is actually an open source 3D creation suite but can also be used as a seriously good video editor. The Blender Foundation that maintains and develops Blender has even released short independent movies using it such as Sintel. Commercial 3D modelling and special effects software is usually very expensive on Mac and so if you’re intending to add 3D special effects and graphics to your videos, it may well be worth investing effort in learning how to use Blender. Blender can handle modeling, rigging, animation, simulation, rendering, compositing and motion tracking but also packs some impressive level video editing tools. The Blender Video Sequence Editor (VSE) can import multiple video clips, insert fades and transitions and add an audio track so you can synchronize the timing of the video sequence to match it. You can extend the functionality of Blender with various addons and when you combine it with the 3D editing features, you can create some really impressive videos with special effects for free. 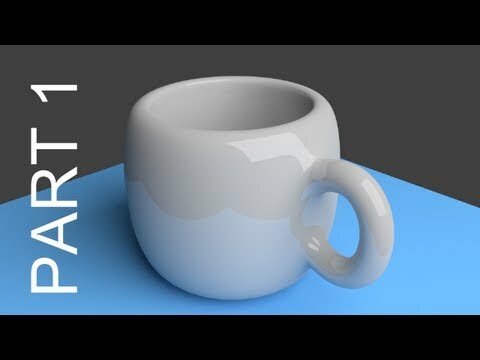 Blender has a very dedicated following with hundreds of tutorials and even fan websites dedicated to helping you get the most out of Blender. It definitely takes some learning and getting used to but once mastered, Blender is an incredibly powerful 3D graphics suite and video editor. Jashaka is also mainly a 2D and 3D modelling suite but also allows basic video editing. To be honest, if you want something that does both, we’d recommend going with Blender anyway because it’s more advanced with a much bigger user community but if you’re looking for a free alternative to Adobe After Effects, or just don’t like Blender, it’s worth a closer look. As you can see, there’s something for all budgets when it comes to video editing on Mac. If you’re intending on taking video editing seriously but don’t have much experience, our favorite all-round video editor for both beginners and pros is still Final Cut Pro X. And if that’s too complicated for beginners, iMovie is an excellent stepping stone to FCP X. Since both are also made by Apple, they are both generally incredibly stable and well integrated with OS X. As we’ve seen, for professionals, there are definitely more powerful video editors out there than Final Cut Pro X such as DaVinci Resolve and Adobe Premiere Pro CC but in terms of ease of use, value for money and user base, FCP X still comes out ahead in our mind. If you have any comments, suggestions or questions about the film editing software for Mac, featured here, let us know in the comments below.